The Town of Huntington in Suffolk County is one of only ten registered towns in Suffolk County, New York. It was originally founded within the United States in 1653, and is located on the northern shore of Long Island, in the northwestern part of Suffolk County. To the North of Huntington, is the "Long Island Sound", and to the west is Nassau County. Huntington makes up part of the metropolitan area of New York, and in 2010, the United States Census revealed a population of approximately 203,264 people. Though a unique and beautiful town for those that live within it, Huntington is not detached from the common issues that people face throughout the world. After all, regardless of where you live, it's still possible to face problems with your relationships, experience family disputes, and deal with the pain of damage and betrayal. Although nothing can make the agony of approaching a matter of family law into something easy, having the right support at hand can make the process far less complicated for everyone involved. Fortunately, for people in Huntington, there is a local answer nearby, in the form of Darren M. Shapiro, Esq. - an attorney who began practicing law more than 15 years ago, in January 1999, after he was admitted to the New York State Bar. Mr. Shapiro opened his own firm a number of years ago, with a focus directed towards family law. Now, as a New York and Long Island family law attorney, Mr. Shapiro offers his clients the benefit of an in-depth knowledge of Suffolk County procedures. As a resident of Suffolk County himself, he is able to offer a conveniently located office, combined with the familiarity of handling more Suffolk County cases than any other location. Since the census of 2000, Wikipedia.com reports that the 195,289 people of Huntington, Suffolk County were divided into 65,917 households, and 52,338 families. Of this number there were 37.1% living with children under the age of 18, 67.4% married couples living together, and only 8.9% female householders living without a husband present. Further, our research into Huntington further discovered that more up-to-date information from city-data.com revealed that 56.6% of residents are now married, and 7% are divorced. The above information can offer some insight into the statistics surrounding family law cases and issues of divorce in the Huntington area. However, it's fair to suggest that the best information you can have on hand when dealing with a family law matter yourself, is where you can find a helpful and highly educated lawyer with experience in your area. The law office of Mr. Darren M. Shapiro is located conveniently in Nassau County, at 99 Jericho Turnpike, in Jericho, Suite 300-K, New York, 111753. To find it, you simply need to take exit 40 off the Long Island Expressway. On the other hand, you can reach us from Exit 34 of the Northern State Parkway. Mr. Shapiro's office is equipped to handle a wide variety of legal cases, from Suffolk County divorces, to matters of collaborative law, and family mediations within a spacious conference room. Mr. Shapiro's legal firm handles matrimonial cases in the Supreme Court of Suffolk County, wherein cases of post-judgment divorce, legal separations, and annulments can all be handled. There are two locations for this particular court - the first at 235 Griffing Avenue, Riverhead, New York 11901, and the other at 400 Carleton Avenue, Central Islip, New York 11772. There are also two locations for the family court of Suffolk County, the first in the same building as the 400 Carleton Avenue Supreme Court, and the second at 889 E. Main Street, Riverhead, New York 11901. The family court for Suffolk County is responsible for handling cases involving families and children, such as child custody matters, parenting time (visitation), spousal or child support, orders of protection, paternity, adoption, neglect, abuse, and termination of parental rights. Where you go to pursue your judgment will be determined by the details and nature of your case. Because Mr. Darren M. Shapiro Esq. has practiced matrimonial and family law within Suffolk County and Long Island for a number of years, he is capable of offering diligent and reliable representation to clients at a reasonable rate. As either a mediator or an attorney, Mr. Shapiro's friendliness, honest advice, and dedication to the details of his practice make him an ideal choice for many families struggling through difficult circumstances. He strives to provide effective assistance for all matters of family law, and is familiar with most of the court rooms and practices across Suffolk County - making him an excellent choice for Huntington residents. With his highly honed skills and in-depth knowledge of the local proceedings, Mr. Darren Shapiro can be relied upon to resolve your case with as little pain and discomfort to you as possible. To make your legal experience quicker, and less distressing, Mr. Shapiro's office can provide information about the different proceedings, courts, and venues available to you in your particular case. This means that you can have access to reliable information about the disadvantages and advantages of the different routes that you can take before making a decision on how to proceed. As a trained and certified collaborative divorce attorney, litigator, and mediator, Mr. Shapiro has both the tools and skill to assist you in your case regardless of the nuances involved, or the process that you choose to pursue. Fighting to protect your best interest, Mr. Shapiro will remain ever vigilant in his search for an opportunity to settle cases in the best possible way. Please call us for a free initial consultation with an experienced mediator, litigator, and collaborative attorney for Suffolk County. Whether you're located in Huntington or have a home nearby, there is a local expert nearby waiting to help you win your case. 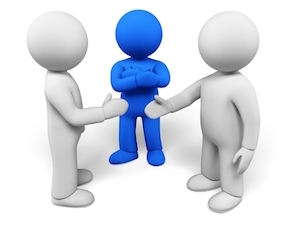 What's more, couples in search of a mediator are also welcome to approach us for a free half-hour consultation. If you are in need of advice, or want to pursue the help of an attorney, please call for your phone or in-office consultation. It would be our pleasure to discuss your case with you, and we look forward to hearing from you.